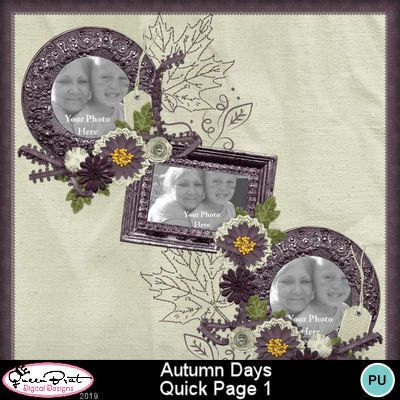 A quick page from "Autumn Days". A warm, cozy evening spent by the fire. A cup of cocoa or steamy coffee to warm you while the leaves gently swirl outside. Beautiful visions of Autumn! This one is just a little feminine with lace and glitter accents. But it is a definite must have to add to your Autumn collection for your projects.